To quote the iconic Marilyn Monroe, "Diamonds are a girl's best friend" as celebrated actor Ford Austin (Bosch, Dahmer vs Gacy) and actress and noted fashion blogger Vida Ghaffari (The Mindy Project, Jimmy Kimmel Live, www.soveryvida.com), of "Facebook Live with Ford and Vida", co-hosted the luxury event of the season, the exclusive IberJoya trunk show at Macy's Topanga Mall. 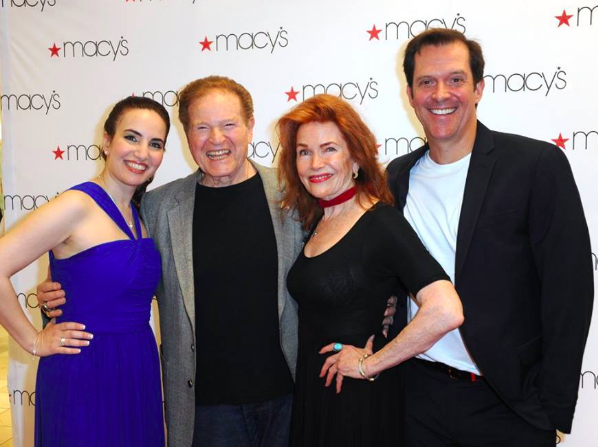 Los Angeles, CA, June 17, 2016	(Newswire.com) - ​​​​​​​​​​​​​​​​​​​​​​​​To quote the iconic Marilyn Monroe, “Diamonds are a girl’s best friend” as celebrated actor Ford Austin of http://www.actorfordaustin.com (Bosch,Dahmer vs Gacy) and actress and noted fashion blogger Vida Ghaffari (The Mindy Project, Jimmy Kimmel Live, www.soveryvida.com), of "Facebook Live with Ford and Vida", co-hosted the luxury event of the season, the exclusive IberJoya trunk show at Macy’s Topanga Mall on Sunday, June 12th. In addition to wearing exquisite jewels from Iberjoya, Ford was decked out in a suit by Bar III and Vida was dressed in a Ralph Lauren gown. Her makeup was courtesy of Estee Lauder. There were coveted gift bags for the VIP guests stocked with beauty products and fragrance samples from Proctor & Gamble's P&G Prestige Products Line. P&G also had a raffle for a gift basket worth $500 and the winner was actress Holly Fields (The O.C., Jag). 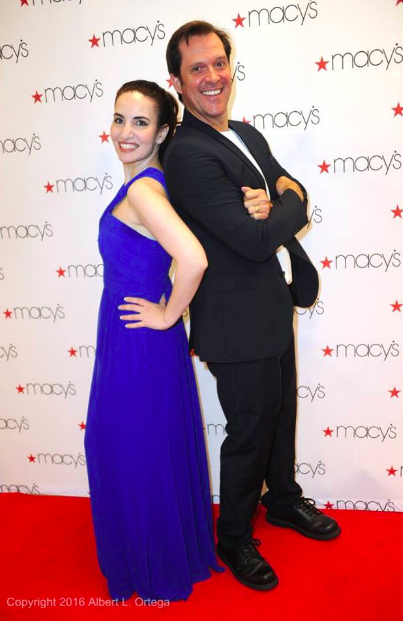 "There was a great buzz at this Macy's surrounding this event and Iberjoya received a very strong social media presence as a result of this popular event," said Iberjoya sales rep Michael Falvey. 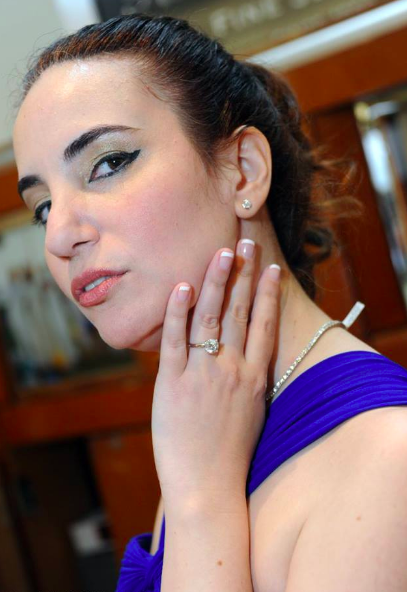 "I had the opportunity to wear almost $200,000 in exquisite Iberjoya jewelry, and I felt like a million bucks. With all the black tie events I've attended, I've never seen any jewelry line that rivals this line in terms of elegance, style, quality, and sparkle! 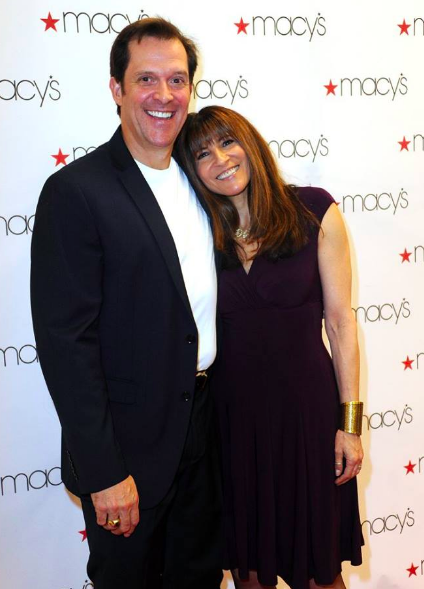 What a glitzy and momentous way to launch the first event that we co-hosted, which was at our all-time favorite department store Macys," said an excited event co-host Vida Ghaffari. Numerous celebrity and other VIP guests attended such as Ford’s wife, Emmy award-winning producer Lauree Dash, Laura T. Sharpe, Founder, Artists For Trauma, Laura Saltman (Correspondent, Producer The Insider, Access Hollywood's Dish of Salt), actors Hank Garrett (Three Days of the Condor, Car 54, Where are you? ), Pej Vahdat (Series Regular on Bones), Lisa Cash (Actress, General Hospital, Model, Maxim St. Patty’s Day girl), Anna Easteden (Actress, Junkie, At the End of Time), Michelle Bernard (Actress, Any Given Sunday, Grease Live! ), Rico E. Anderson (Actor, The Fosters, Star Trek: Horizon), Suze Lanier-Bramlett (Actress, Hills Have Eyes, Betrothed), Reatha Grey (Actress, Betty White’s Off Their Rockers, Betrothed), Tyrone Tann (Actor, Filmmaker Lavanderia, Blooob, On-Air Host Stauros Entertainment), Alain Washnevsky (Septembers in Shiraz, Scandal), Entertainment attorney Nadia Davari, Legendary Iranian actresses Apick Youssefian(The Keeper: The Legend of Omar Khayyam, Cry of the Village) and her daughter Mary Apick (Homeland, 12 Angry Men and Women), as well as royalty such HRH Prince Emad Zand II (Persian Zand dynasty) architect, luxury interior and jewelry and accessories designer as well as the upper echelon of stylemakers and influencers such as Faith Boutin, managing director of FVM Global Magazine and others were in attendance to show their support.